is embraced at CVE in words and actions. We, the learning community of Castro Valley Elementary School, believe that all students can learn and that failure is not an option. We, therefore, work together to create a positive, engaging, and dynamic school environment, which promotes a sense of community and a joy for teaching and learning. Upon entering our school campus, everyone (students, teachers, staff, parents/guardians, administration, visitors, and community partners) is greeted with respect, friendliness, and acceptance. All members of our school community take an active role in maintaining a clean, attractive, and safe learning environment. Teachers have high expectations for all students regardless of culture, race, gender, language, learning style, and/or socio-economic background to ensure that each child is achieving at the proficient/advanced level. Teachers use research-based instructional strategies and differentiated instruction to meet the needs of students based on individual learning goals which are measured through on-going assessment. 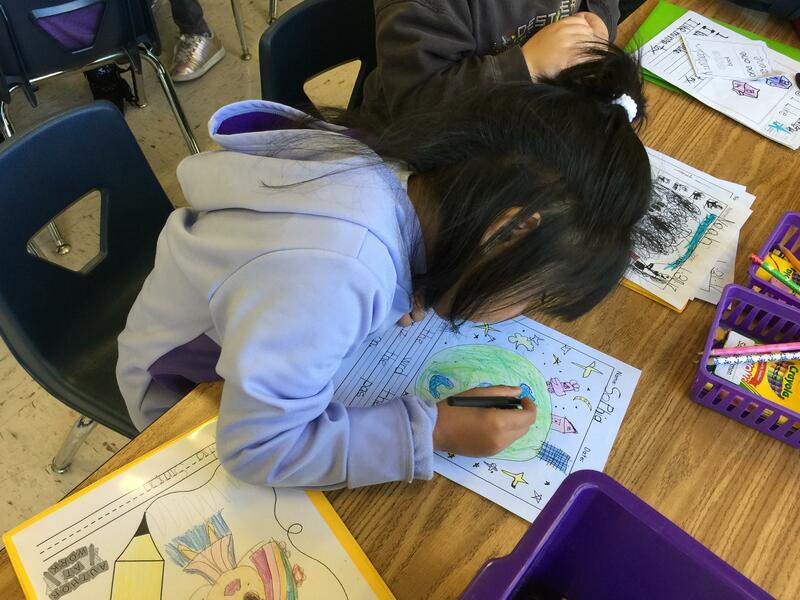 Students actively participate in a meaningful curriculum that is standards-aligned and connected to the real world. Students are eager to come to school as they know new and challenging learning awaits them including hands-on science, daily technology access, and field trips. Our staff fosters a nurturing environment by developing positive relationships with each child and promoting risk taking. All adults serve as role models for students as they make conscious efforts to be enthusiastic, encouraging, and caring. PBIS~CVE’s BEAR Code provides a foundation for school-wide discussions and problem solving, supporting each child’s social and emotional development. Our school is where everyone is valued and all voices are heard. We honor and appreciate the rich diversity of our school community. Communicating with each family is a priority as we provide equal access to printed materials in our two major languages of English and Spanish and translators are arranged during parent-teacher conferences. We prepare our students to be lifelong learners and successful members of an ever-changing society. We, the learning community of Castro Valley Elementary School, believe that all students will reach their highest learning potential by fostering a school climate committed to equity, a sense of community, a joy for teaching and learning, student’s well-being, and academic success.